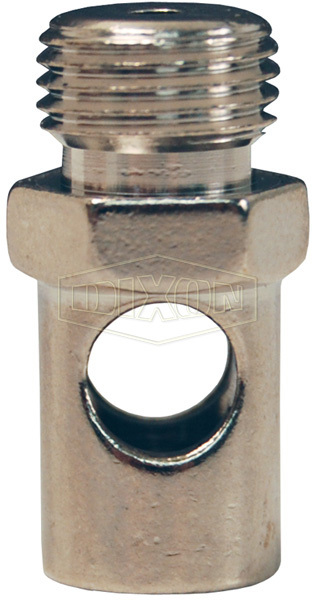 The vent-less, nickel-plated tip provides the most economical means of achieving a concentrated stream of air for many blow-off applications. 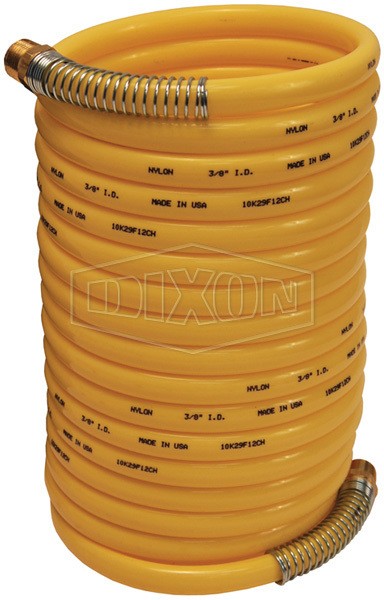 They may be used for cleaning purposes only if the air supply (inlet pressure) has been reduced to 30 PSI or less. All other components and design features are the same as our Air Chief safety blow gun (D204-30). 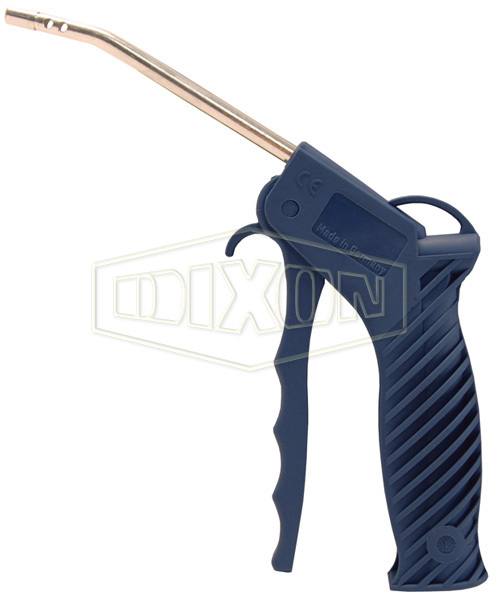 Blow gun body is designed to comfortably fit the contour of the hand, minimizing user fatigue. 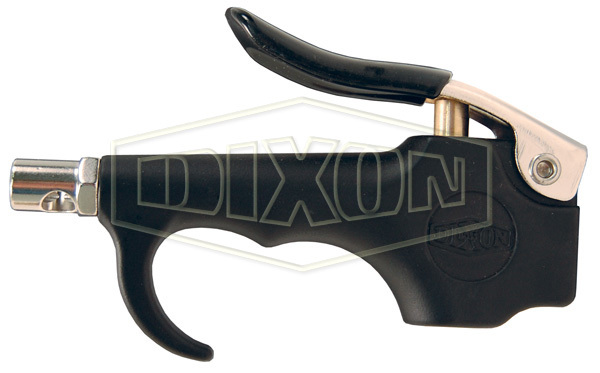 Large lever with vinyl grip further adds to the ergonomic design and allows for easy air flow activation. 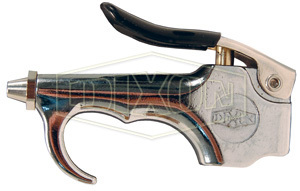 Chrome plated zinc die cast body, nickel plated steel lever, vinyl thumb grip, stainless steel spring, brass valve, Buna-N seals and vent-less, nickel plated brass tip provide superior corrosion resistance. Safety glasses or shield must be worn when using any blow gun. 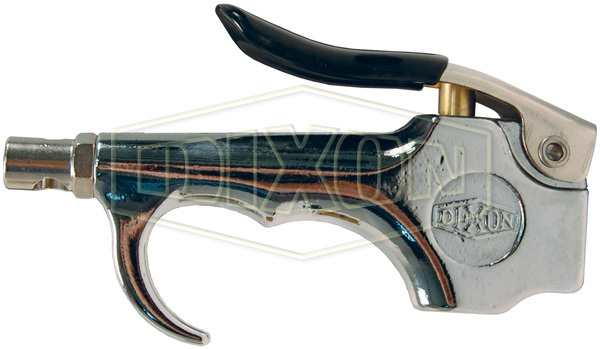 Must be used on air lines having a maximum regulated pressure of 30 PSI in order to comply with OSHA Standard 1910.242 (B). 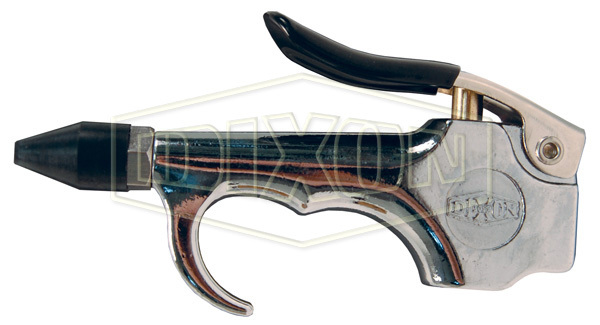 Non-Safety blow guns do not have a safety by-pass to prevent buildup of tip pressure in the event of tip blockage.